basic theme continues to be sound, I continue to publish the home page. visionariesLab morphed into CORE Resonance. 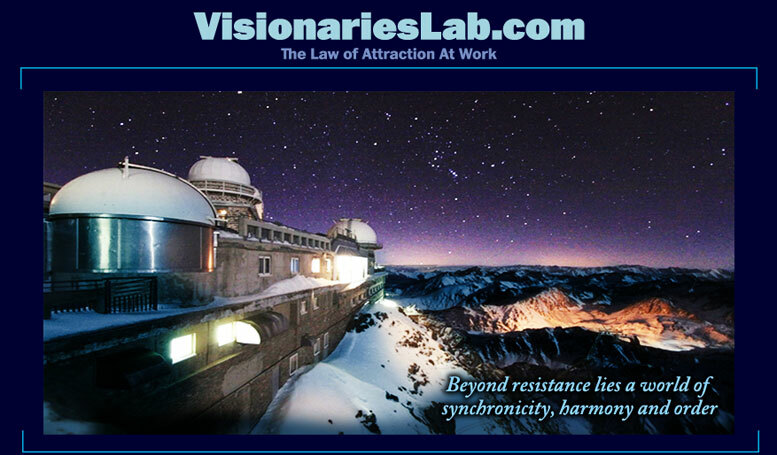 Welcome to VisionariesLab It is our intent to offer self-reliance, personal empowerment, and intentional reality creation for those wishing to become more powerful in their lives. Our goal is to create and encourage a responsible outpouring of humanity, beginning with you (and me) first. everything we do not want! VisionariesLab is dedicated to the holistic view that we are the creators of our realities; that we are responsible for the outcomes in our lives, and that joy and success is our natural inheritance. Not only are we responsible for what we attract into our lives DAILY, but we have it within us to partner with Innate Forces that guide all of life. The days of powerlessness, the days of blaming, and the days of victimhood become our past. Consciousness is little more than a recognition of the order of things that bring results to our lives. To understand what we envision and desire to the point of clarity and focus (inadvertent or intentional), for which we achieve corresponding results, is the beginning of the measure of one’s consciousness. Ultimately our measure is not so much the results we achieve, but an awareness of the quality of the connection between the two. As we rise in an awareness of the connectedness that is everything, for which conscious intent plays a huge role, we mesh and become one with an ever increasing larger Whole. We also become capable of contributing to humanity in a more meaningful manner. This is the true definition of success. It is our wish that the experimentation with the causality that is your mind, your beliefs and attitudes and the results you achieve, begin to light your way. As we discover the power of conscious choice, momentum becomes our most useful tool. Conscious choice is the beginning of reality creation that has no bounds and for which this website is dedicated. In deepest gratitude for our possibilities. Are You Truly Successful? How is your success looking these days? Are you truly successful? Are you a mental, emotional and spiritual powerhouse of reserve and knowing that most look to with recognition and gratitude? Is your life a product of your internally referenced intentionality and focus? And, speaking of intentionality and focus, what is your intentionality and focus? How effectively are you contributing to your personal environment, your neighborhood, the country you live in, and of course, the planet? Are you taking best advantage of the technologies of choice and alignment with Innate Intelligence and contributing in a most powerful manner to making the world a better place? Are you, in fact, a Visionary? In Review: we create reality by one (or a combination) of three methods. As a Visionary, making decisions based on access to higher intelligence (your inner nature) and a solutions-orientation that knows no bounds; wherein we each go forward embracing our ever-unfolding possibilities and making choices based on our infallible insight from Innate Intelligence. (Visionaries wear vibrational blinders of their own, seeing only a solutions-orientation aligned with an effortlessly unfolding Universe.) This is the realm of the Visionary! Everything in the cosmos and on planet earth is connected to Innate Intelligence. What is Innate Intelligence? Just ask an apple. An apple would tell you that it lives in the branches of an apple tree and gets everything it needs. The apple, in fact, gets its sustenance from its connection to the apple tree. Unbeknownst to the apple, the apple tree is firmly rooted into the earth wherein it absorbs minerals, food and water allowing it to take care of itself and thus the apple. But the tree is also within a larger sphere of influence. It reaches to the sky and follows the sun as it arcs across the sky every day. It meshes with the magnetic and gravitational forces of the Sun, Moon and stars, all the while converting sunlight (and starlight?) to energy for food, and seasonally dropping its leaves as it prepares to nurture the fallen apples and seeds as procreation begins yet once again. And, while the apple is seemingly unaware of all of this, the apple is fully connected to its surrounding (the cosmos) and so it is with you. Visionaries Thrive In All Times, J.Hamilton’s first book, introduces a simple methodology for understanding the fact that we are not here on our own though observation would tend to suggest that humanity assumes its superiority. To suggest that we have dominion over our affairs because we have a mind and an opposable thumb and now-a-days a laptop and an SUV Hybrid, is an important review if one truly wants to be successful. To the uninitiated, this might be news, but this awareness has been documented by seekers since practically the beginning of time. What are your goals and aspirations for this year and the next and the year after that? Do you see a better world or are you caught up in the “news” of the day. Does your life bend and sway with the emotions and feelings of those around you, and even worse, do you take your hints from the TV broadcasts and newspaper headlines for the quality of your “insight” into the on-goings of your neighborhood and planet? Is your joy or sorrow a product of the ascending or descending value of the stock market or the rise and fall of gasoline prices? Are you aware of your capacity to make a contribution to the world-at-large based upon the clarity of your focus and underlying quality of intent? Do you see yourself as part of the problem or part of the solution–or, do you even know the difference? Visionaries Thrive In All Times develops these ideas and many more. For after all, we are Observers or we are Visionaries; we are not very effective as both. Our realities are a product of our beliefs, attitudes and habits of thinking, as well as what we know to be so–accurate or not. Needless to say, it behooves us to take an active role in how and what we feed our mind, the habits we form and the outpouring we each generate and leave behind. Reality creation is a product of our unconscious and subconscious beliefs manifesting as habitual patterns of thought for which reality ensues. As the sole source of our realities (other than defaulting to authority figures, i.e., parents, boss, gov. school, church, etc., for which we are still ultimately responsible), it behooves us to begin refining our habitual patterns based on our desires and values in partnership with something larger than ourselves: Innate Intelligence. Conscious reality creation, i.e., partnering with Innate Intelligence in the quality of our reality creating, is the only hope for humanity and the planet on which we live. While there seems to be a great deal of destruction and onerous activities to fill the daily news, humanity is slowly waking up. Slowly, humanity is beginning to learn the difference between right and wrong on a personal, national and global scale and with the new technologies of conscious alignment with Innate Intelligence, conscious choice and intentional reality creation available for the asking, we can learn to become far more effective at making a difference. You are invited to become part of the difference that has no use for righting wrongs, pushing against what does not work or resistance to the old, but instead uses tools of consciousness to hold a vision of a new unfolding of humanity, all the while loving what appears to be the shortcomings of humanity learning how to get it right. Fighting the natural order of things takes huge efforting and soon those who fight for what they believe will tire and the Visionaries will be victorious. Without firing a shot, without pushing against and most importantly: allowing those who believed in their “better way” to have their chance. And, for those of you paying attention, the world did not change until everyone got to see and review the above proceedings and effortings, and came to know the difference. J.Hamilton’s latest projects include CORE Resonance Colonies™, TapRoot™ by CORE Resonance, Colonize Earth First, Quantum Activism: for a planet in need of a few good ideas and Reset Coaching™.